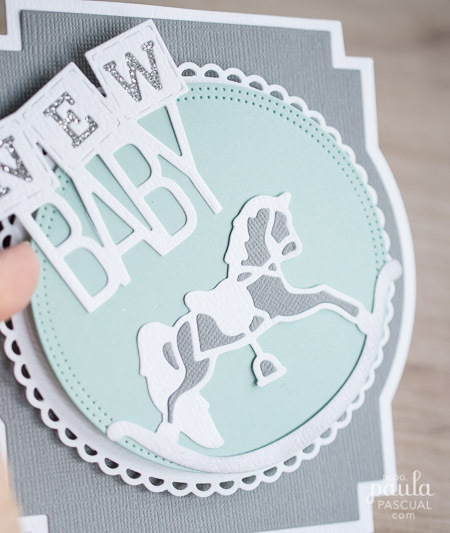 Another baby card I made for last weeks shows at Create And Craft USA for Tonic Studios using this time the rocking horse. 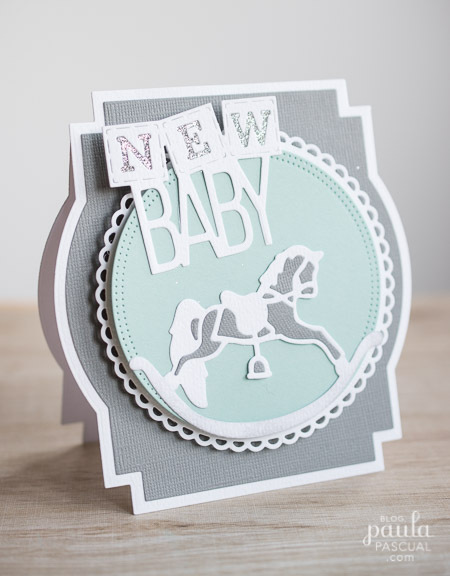 In this card, the horse (and the whole soft turquoise circle) does rotate, creating a rocking horse. Between the layers, either side of the white circle that has a small aperture just above the centre, there are two pennies glued to each other with a circle foam pad. The sentiment is from the same Baby Rococo collection from Tonic. I just put a bit of washi tape on the back to hold the glitter. 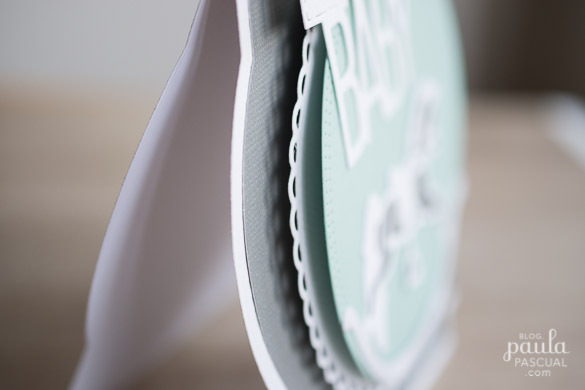 Yes, washi isn't the strongest tape so some glitter may fall over, but this card has been to manhandled quite heavily and still has the glitter perfectly in place. If you are concerned that it will fall off just use the red tape on the back. Paula I love your cards, you are so talented!! I bought the baby dies and love them! Thanks for the inspiration! You love what you do and it shows in all you create!